Born in Holmes County, Mississippi, John Charles Black moved to Illinois at an early age, and 1861 found him a student at Wabash College in Indiana. 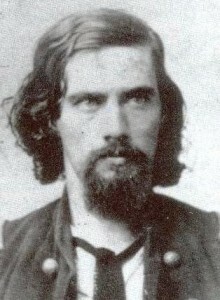 He enlisted in an Indiana 90-day regiment and fought in one of the War’s first battles, at Romney, Va. on June 13, 1861. Upon disbandment of this unit, Black returned to his home in Danville, IL, and organized the 37th Illinois Infantry.